Canadian News : Tailgators Announcement: Eastern Canadian 8-Ball Championship Dates!!! Tailgators Announcement: Eastern Canadian 8-Ball Championship Dates!!! The 3rd Annual Eastern Canadian 8-ball championship is set for November 20-22 at Tailgators. This year their will be two separate handicapped singles divisions with a max of 64 players in each. Also new this year is TEAM DIVISIONS. They will consist of 3 player teams and we are taking a max of 16 teams in 3 divisions(copper, bronze and silver). 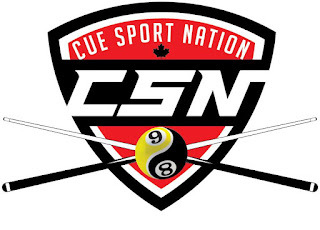 Check back regularly with Cue Sport Nation as a poster with all the specifics will be made available soon. Below is a few details that have already been agreed upon. To sign up please contact Curtis Houlden by email at leagues@tailgators.ca or through Facebook. -no green fee for teams if you play in the singles! !